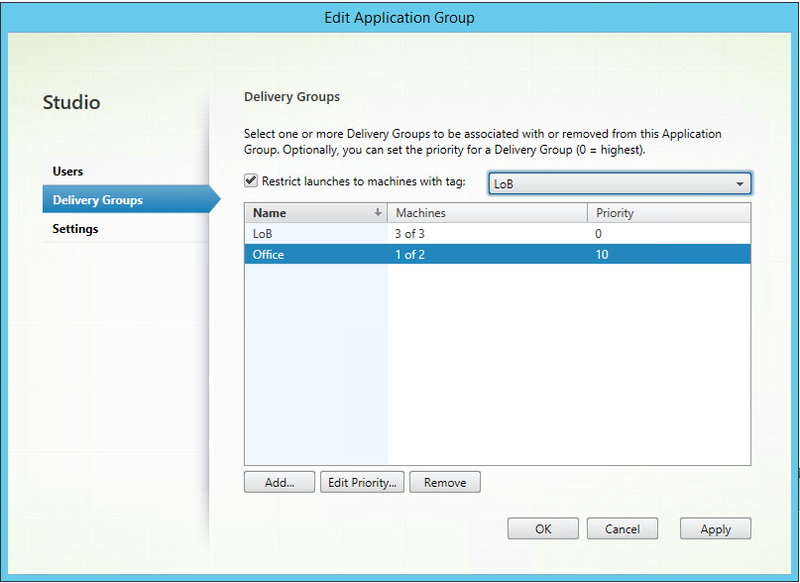 Although XenApp 6.5 worker groups do not exist in XenApp 7.x, we’ve seen how similar functionality is available. Instead of comparing XenApp 6.5 with XenApp 7.x, let’s put some of these new technologies into practice by solving the following design requirement. 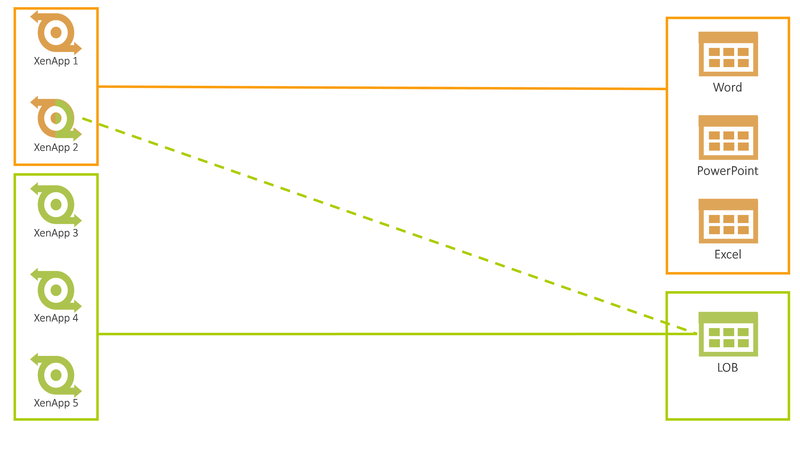 This diagram is simple to understand, but it lacks the information need to turn it into a reality. In order to build this solution in XenApp 7.12+, you would have a diagram like the following, which includes machine catalogs, delivery groups, application groups, delivery group priorities and tags. Let’s break this down into sections. Two delivery groups use the previously created machine catalog. When this is configured properly, you will see the following in the properties of the LoB app group. 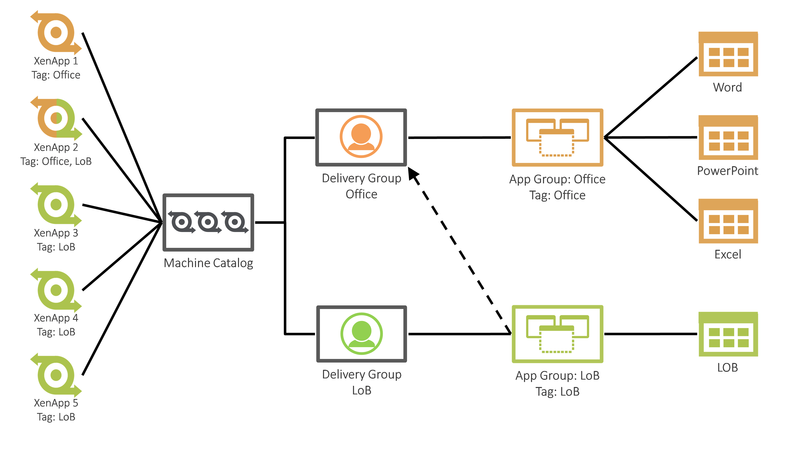 Due to the usage of tags, the LoB app group contains all 3 servers from the LoB delivery group but only 1 of the 2 Office delivery group servers. Word, PowerPoint and Excel will only run from servers 1 and 2.